CalState Solar has been providing solar energy contracting services in Wildomar for many years. We have watched this area grow over the years and are familiar with working with the community HOAs and city permitting for solar systems to ensure your install goes smoothly. One of the things that make raising a family in Wildomar so great besides the community is the beautiful weather and plentiful sun which makes Wildomar perfect for creating renewable solar energy with solar panels on your home. It can get quite hot in Wildomar, so you’re certainly turning up the AC when it hits 107 degrees outdoors, and that is, of course, driving up your energy bill. With a new solar panel installation, you can take advantage of our various financing options, the tax and utility incentives, and keep your power costs low for decades. Is Your Home in Wildomar Solar Power Compatible? It’s difficult to miss the houses across Wildomar enhanced with solar panels on their roofs. But what made those homeowners flip the switch on solar? We know solar can be confusing and there are many questions to answer when considering solar energy contractors in Wildomar like How many panels do I need? Who should I choose to install my solar? How much does solar cost? Should I lease solar? We will answer all of these questions in your free solar consultation. I’m sure you know that SCE (Southern California Edison) is NEVER going to stop increasing power rates and, what will you be paying for to power your home in 5, 10, or 15 years? Changing to a solar panel system provides lots of benefit for your home and your pocketbook. The Wildomar area real estate values are rising and have swiftly grown to one of the fastest expanding cities in CA, which makes solar a great way of improving your home’s value. How Much Value Can Solar Panels Add To Your Wildomar Home? Why Hire A Local Wildomar Solar Energy Contractor? Regardless of if you live near the Cornerstone Community Church off Bundy Canyon Rd or nearby to the Shops at Clinton Keith, or approaching to the foothills near Palomar St and Grand Ave CalState Solar is the best Wildomar solar installer for your house. CalState Solar has been serving Wildomar solar customers for years. We are located just West of the I-15 freeway not far from you, and many of our solar installers live in the area. When you hire a local solar power company, more of your money stays here in our area, and of course, that serves everyone. 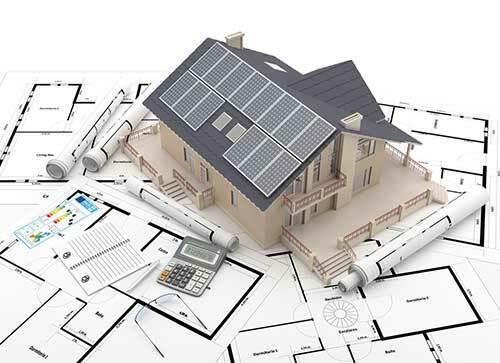 We are a top sub-contractor for many of the leading solar businesses in CA so you can trust us to not only help you choose the appropriate system but complete your solar installation trouble-free and on time. CalState Solar serves all of Wildomar city from Bundy Canyon to The Farm to Baxter Road to Victorian Estates to The Ridge to Windsong Valley to Windmill Estates to Cloud Crest to Silver Oaks Ranch to Woodmoor; we are your solar energy installer in Wildomar.